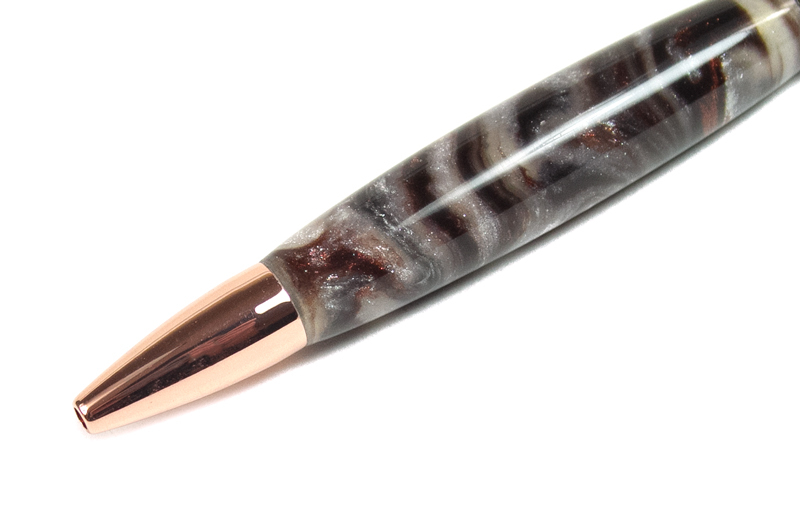 The slim bullet pen kits come in multiple platings, but each kit contains a copper plated bullet style nib. 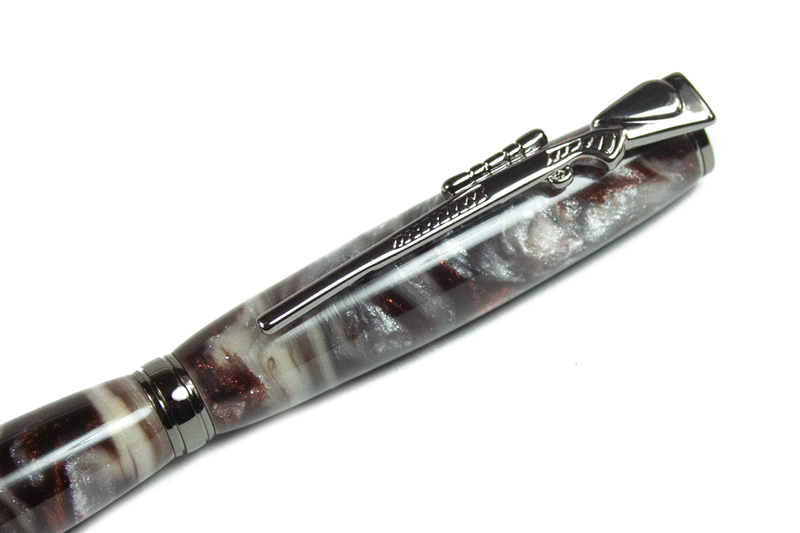 Each kit also has a scoped rifle clip. 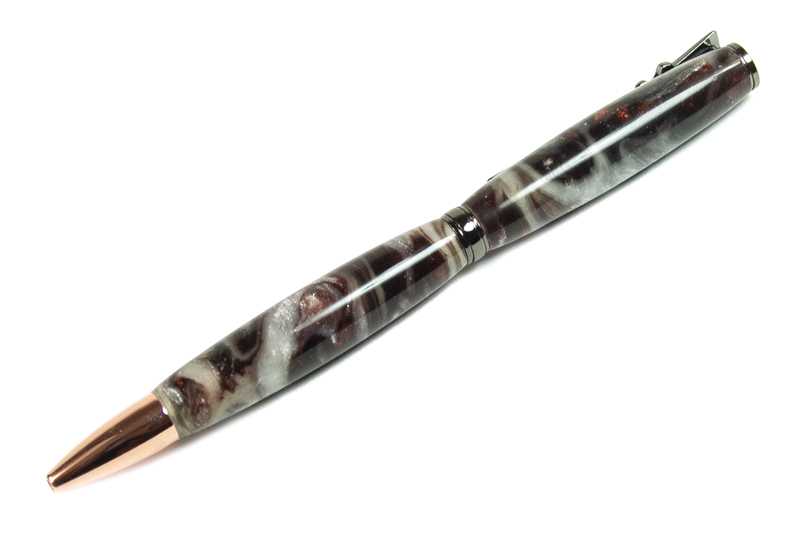 Everything you need to combine with your own cartridge case blanks to make a great looking pen. 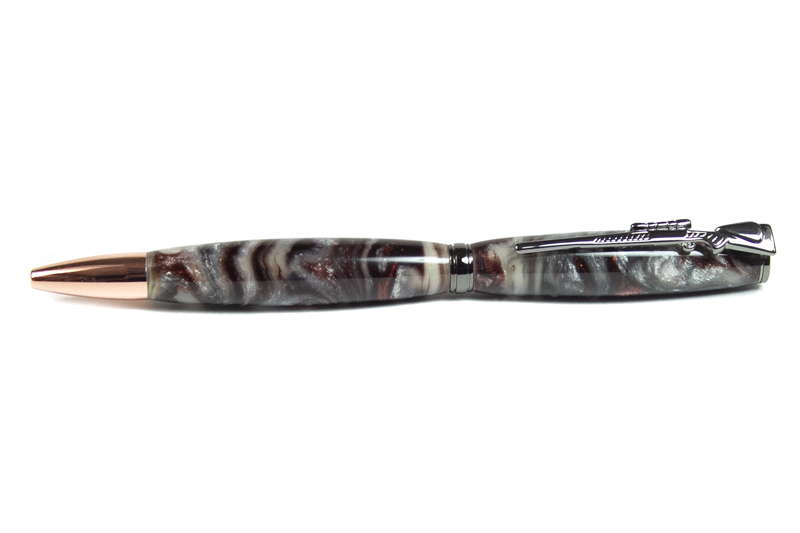 Shown finished on a Silver Bells Lava Explosion pen blank (sold separately).